We hate to admit it, but it's getting cold outside. Really, really cold. And the only thing this kind of weather makes us want to do is to curl up to a plate of our favourite comfort food. But what makes a comforting dish? "They're [recipes] that are tried, tested and true. They're family favourites -- full of great childhood memories," says Michael Bonacini. And this man should know -- as a partner at Oliver & Bonacini he's behind some of the most delicious, comfort food-rich restaurants in Toronto, including Luma, the top-rated Canoe and our newest favourite Bannock, a delicious grab-and-go comfort food bistro/restaurant in the heart of the city. For Bonacini, comfort foods are all about warming the heart in the winter. "I'm a big fan of butter tarts. Whether they have cashews, raisins or a little bit of rum, to me they're a classic. Mac and cheese is great every once in a while. I do think having a great classic burger, whether its made from bison, wild boar or a good combination of Ontario pork, really makes a nice flavour that's unique." And while comfort foods should be every-so-often treats (on say, those days when the wind is bitterly cold and the snow or rain is falling heavily), Bonacini says there are ways to include some of these dishes in your daily mealtime routine. "I think it's the case of every Canadian -- whether they're born and bred, new Canadians or are immigrants like myself -- [to have] a list of your favourite things to eat. My wife makes for me... a pork shoulder that's braised in Campbell's cream of mushroom soup. That to me is a real comfort food -- it's easy to make, it's using an inexpensive cut of meat. Every Canadian has to have a little library of dishes that are go-to." 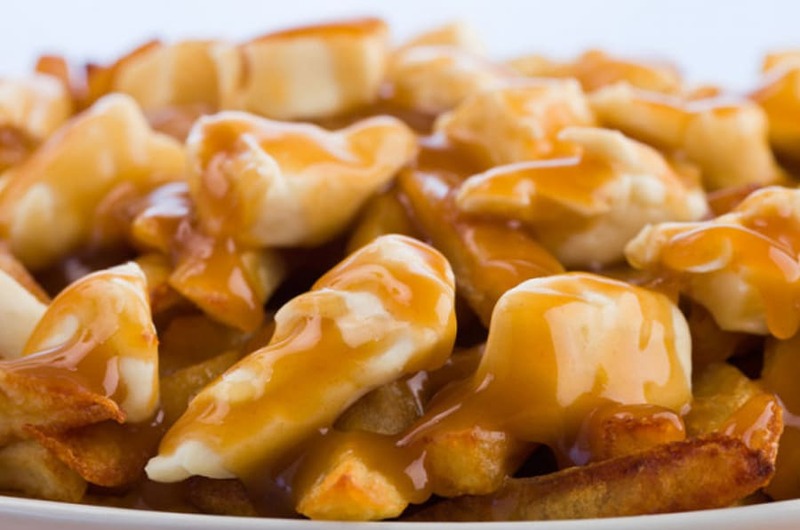 Which got us editors at The Huffington Post Canada wondering about what our go-to dishes are. Seems the editorial staff has a lot in common. Here are the top 10 items our staffers came up with. Tell us what your favs are using the Twitter hashtag #lovecanada.